As with many businesses in the financial services space, SEO and a strong content campaign play a key role in driving traffic to the website. The higher the ranking for key search terms, the more sales volume the business gets. 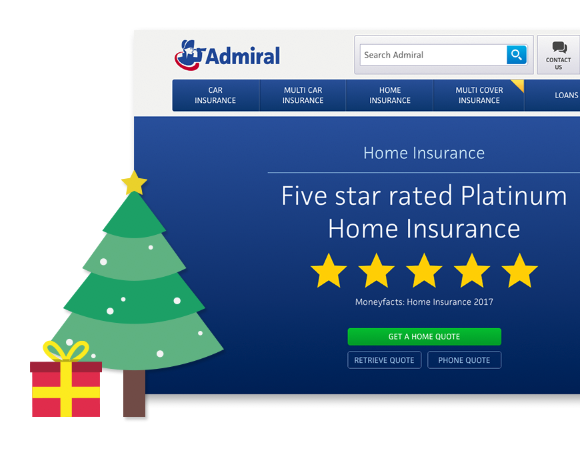 At one of the most competitive times of year (Christmas), Admiral challenged us to develop a ‘big content’ campaign for home insurance to drive organic links to the website with useful content at the heart. 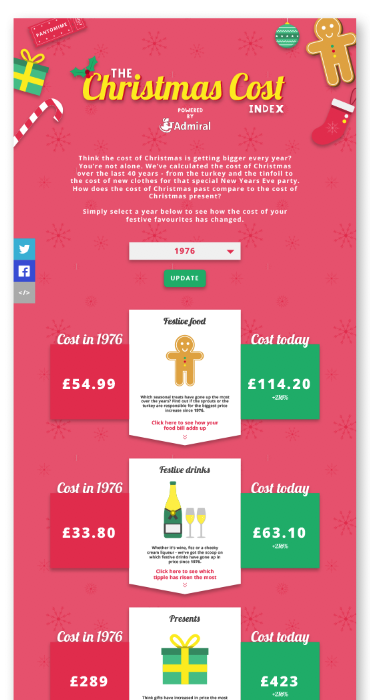 We developed a campaign to reveal how the cost of the festive season has changed over the last four decades, carrying the message that we fill our homes up with lots of stuff at Christmas and it’s important to make sure these items are added to your insurance policy.